I found this in my hamper today. It was a reminder of an event I covered on one of the coldest days I’ve ever experienced–January 20, 2009. That’s when “Hope and Change” supposedly had come to Washington. Five years later and we’re still out in the cold–especially this weekend when President Obama announced his immigration delay. In my mind, there are only three types of delay: Good, bad and Tom. The former indicted GOP congressman and “Dancing with the Stars” contestant aside, it’s hard to imagine too much good from a delay of something positive. For lawyers and those who fight for justice, a good delay may be one that wards off some inevitable loss or a negative, like an eviction or a wrongful execution. Drag on! But when it comes to changes in immigration policy, delay can only be a bad thing. Every day the president mulls over the proposals that have long been before him, the anxiety and misery increases for thousands of families who could benefit now—if only the president took action. Mr. President, there are three I’s in immigration, and just one T.
Oh, yeah that. We all should have known better. In 2008, when then-candidate Obama was looking for votes, he dangled immigration reform out there to coalesce Latino and Asian support. But then came 2009, Obama was inaugurated, and almost immediately there was a shift. Health care had eclipsed immigration and took up the bulk of Obama’s political capital. In the last two years, the issue has come back more prominently. Following Deferred Action for Childhood Arrivals (DACA) for undocumented youth, this was to be the year of real immigration reform. It might have been enough to make us forget his militarization of the border and the record deportations taking place under his watch. The iterations of the immigration bill haven’t been perfect either. Asian Americans wanted to retain family categories and a provision to clear the backlogs for legal immigration, which have resulted in over 10-year waiting periods for some family members in Asia. But when immigration legislation seemed doomed by politics, the focus turned to what the president could do on his own. And even the president suggested that by the end of summer there would be reason to cheer. On Saturday, when the administration announced it would wait until after the November midterm elections, the cheers turned to groans and wails. Last weekend, I was in Nashville, Tennessee, which borders on such electoral hotspots as Arkansas and North Carolina, where immigration could be turned into a wedge issue to alienate voters. I was attending a convention of the Society for Professional Journalists, and if they’d heard news of the delay, there was just passing concern. To them, it must have been all just part of the process. Disappointment? They didn’t have to rely on green cards or work permits. There were bright moments at the SPJ awards banquet. 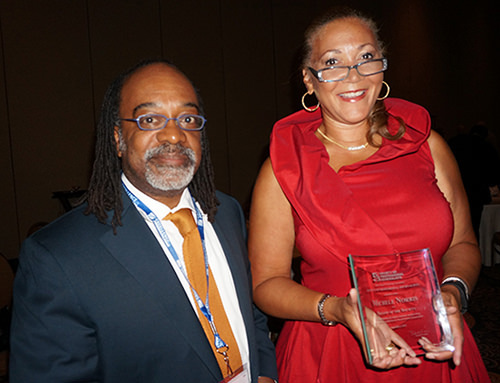 I was privileged to see NPR’s Michele Norris get pinned as a fellow in the society for her decades of journalism, including the “Race Card” project that she created. I’ve worked with Norris’ producer Walter Ray Watson and know of their groundbreaking work. Earlier at a panel on race coverage over the last 50 years, I had to tip my cap to Michele for mentioning diversity and expanding issues of race. It’s more than just black and white; it must also include Asians and Latinos. Implied was the notion that we still had a long way to go. Also at the dinner was Kathryn Foxhall, who fights for the rights of public and private employees to speak to journalists without fear of reprisals from their employers. Foxhall, a white journalist who grew up in segregated Selma, told me that growing up in the ’60s in Alabama and knowing what was overcome continues to inspire her reporting work advocating for free speech and press issues. “I know that millions of people can be wrong,” Foxhall said. It’s the same uphill optimism that immigration advocates should muster as they keep fighting, despite feeling burned by the president. Just remember the president’s promise of something after the elections is as meaningful as all his promises to date. Don’t trust it. If the president’s calculations are wrong, the climate for executive action will be no better in the future than it is now. And if the Democrats win, who knows what new thing will come on the scene to distract attention from the immigration issue. ISIS/ISIL? The Ukraine? In the meantime, there are families out there who will be hurt every day of this delay. Many of them heard the promise of hope and change in 2008. 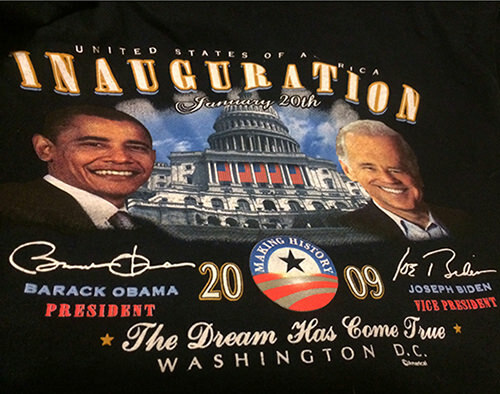 Six years later, some of them don’t even have a lousy T-shirt.